Great package, Great Job (Details Below). Are you passionate about saving energy and increasing efficiency in buildings throughout the UK and abroad? Does it worry you that we may have a growing skills shortage in BMS/HVAC/M&E? Which may deteriorate further with brexit, an ageing workforce, and a lack of interest in STEM subjects by youngsters nationwide. Like the idea of a strategic role, where you influence the technical competency of thousands of people? INTERESTED? Send us your CV and we can tell you more. You will take the reins of a virtually new, state of the art building services training centre. Up to now the centre has been underutilised mainly due to a lack of internal and external promotion of its services. The centre was designed to train internal and external customers on all the latest cutting edge BMS/HVAC/M&E products and solutions that our client offers. Firstly, make sure all the internal/external customer base knows it's there. This will involve travelling out to meet department manager and customers and letting them know what services it offers. Secondly, employ a strategy that removes hurdles preventing customers using the services. Thirdly, ensure the quality of material being taught is of the highest order and the standards set are "best in class". Easy, probably not!! This is why we need a unique individual who understands the BMS/HVAC/M&E or the automation controls industry, to lead the way. Above all you believe that an investment in knowledge pays the best interest. You will have worked for a number of years in either building services/BMS/HVAC/M&E. You may have been a consultant, manager, HOD, technical specialist, Product trainer, sales professional or an engineer who believes that we need to upskill the building services industry, for a company that wants to stand out. You enjoy meeting people, this is a must. We need to persuade and educate the customer base as to why they need to use the facility. So it's imperative you have had a customer facing role in the past that involved influencing people. You will be helped to achieve success the up by a team of talented individuals who are highly motivated to support you, but you will be the driving force. You want to take on a role that is probably different to anything you have done before and have the energy and gravitas to make a success of it. If this sounds like you and you would like some more info please forward across a copy of your CV. Often referred to as the largest company you have never heard of. A company that believes in an open and straightforward approach, that's not scared of a challenge and likes to be passionate in everything they do. Driven by the ideal that it will have the most capable and best trained engineering and commercial teams in the UK, so it can offer the best delivery services to its customer base. £60-£65K company car, bonus, industry leading holiday entitlements, family private medical, great pension, shares scheme. East/West Midlands, but would consider other areas for the right person. Split 50/50 between site and field. Apply to the job or send your CV to n.hindocha@bluefireconsulting.co.uk and I will personally view your application. We often get a very high response on these roles and not everyone is a good fit. If your application is of interest we will be in touch within 3 working days. If it is not we will endeavour to inform you within 14 days. We pay excellent referral fees, so if you know someone who you feel will be a good fit, please send their name and contact number to me personally. If they are successful in securing a position I will make sure you receive your referral reward. 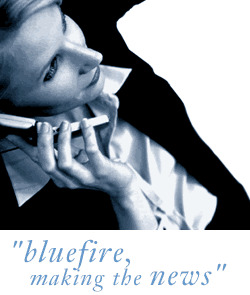 Bluefire is an employment agency working in behalf of the client company.